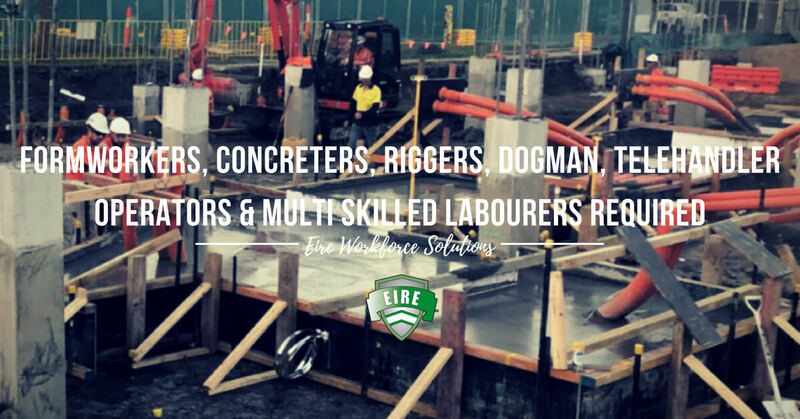 With the increase in major infrastructure (Public Private..
Let the professionals at Eire Workforce Solutions do the hard work for you! What our clients have to say about their experience with us. Ongoing work starting in the upcoming weeks. Top Rate & Overtime Available. Top Rate with penalties, meal & travel allowances. Long term ongoing work with excellent career prospects. Fully-qualified and highly-skilled, our passionate team of recruitment experts strive to place the right candidate in the role. Copyright ©2019 Eire Workforce Solutions. All Rights Reserved.